This lovely 6.26mm necklace is part of the Classic Chain collection from John Hardy designers. This fabulously handcrafted chain will drape beautifully around your neckline because it is meticulously handcrafted, link by link. 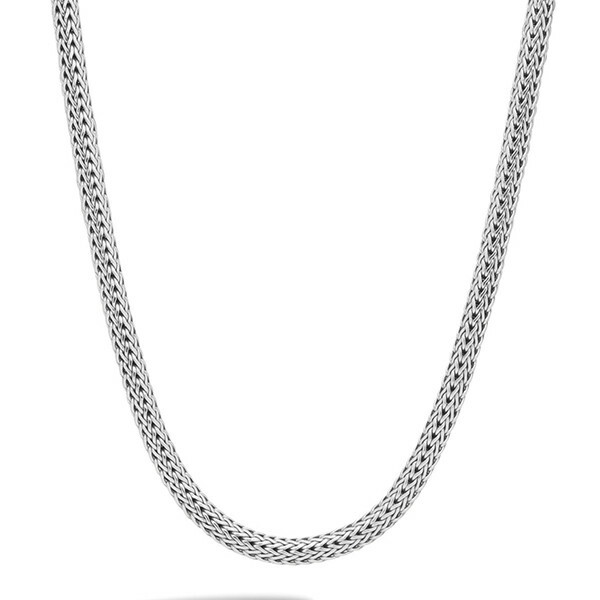 A sterling silver clasp is hand carved with the classic chain design to streamline this piece. Wear it alone or change up your style by adding John Hardy enhancers to this great necklace!